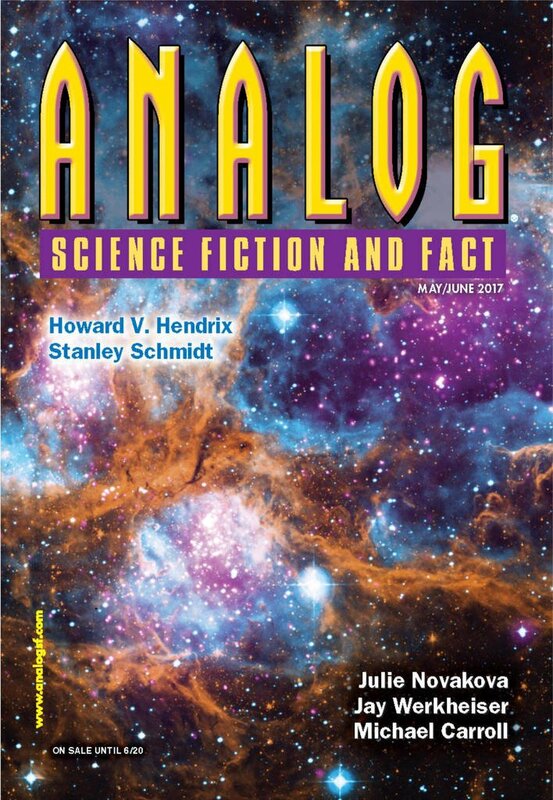 "Seven Ways to Fall in Love with an Astronaut," by Dominica Phetteplace [bio] (edited by Trevor Quachri), appeared in Analog Science Fiction and Fact issue 05-06|17, published on April 20, 2017 by Penny Publications. Pro: The narrator solves (partially) her problem by finding a Martian bacterium (descended from Earth life) and using it to make soil her plants could tolerate. A clever, hard SF solution. Also, she gets to be with the man she loves. Con: It’s told almost entirely in narration, which reduces both characters to cyphers.